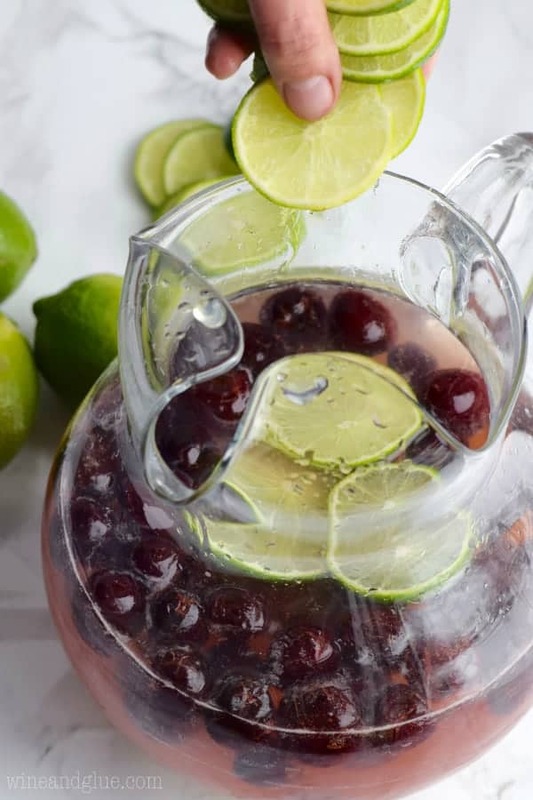 This Cherry Limeade Sangria comes together FAST with just FIVE INGREDIENTS! This post first appeared over at Real Housemoms where I’m a contributor. 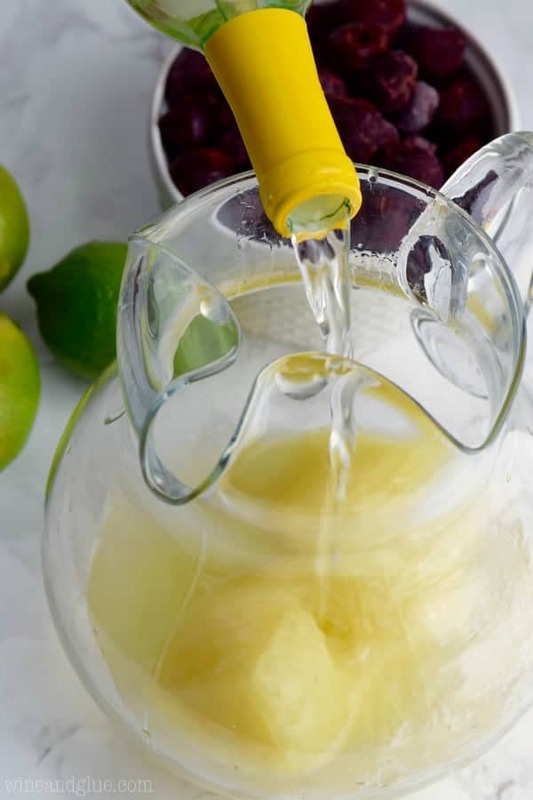 You guys know how last week I brought you the very simple Frozen Fruit Sangria? The one that is so simple it’s barely a recipe at all? Well, I have another stupid simple one for you this week! 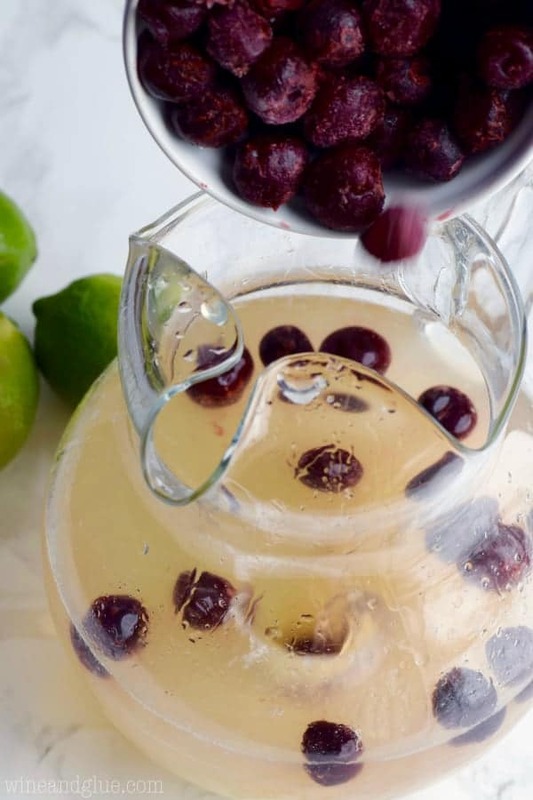 I was actually contemplating this idea of giving you one cocktail a week (Fridays because #duh) from now until the end of summer . . . but OMG I’m not sure my liver is ready to make that kind of commitment to recipe development, lol. Check out these ingredients. See? So easy! 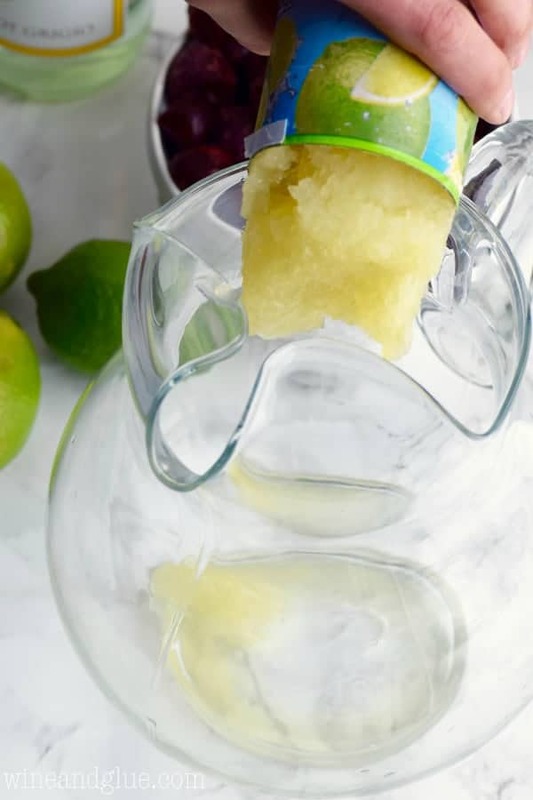 Start by pouring the frozen limeade concentrate into a big pitcher. Then add the wine. I used a Pinot Grigio because otherwise it will be a little too sweet. 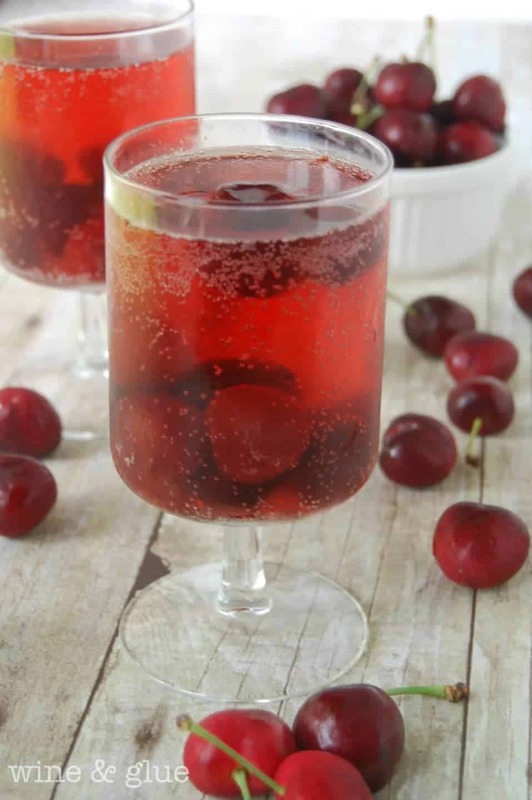 A little cherry vodka . . . . . or regular vodka! If you don’t want to spring for a whole bottle of cherry vodka, don’t do it. Regular will be just fine. Then a bag of frozen cherries. You let it chill for a little bit, or you just go for it. 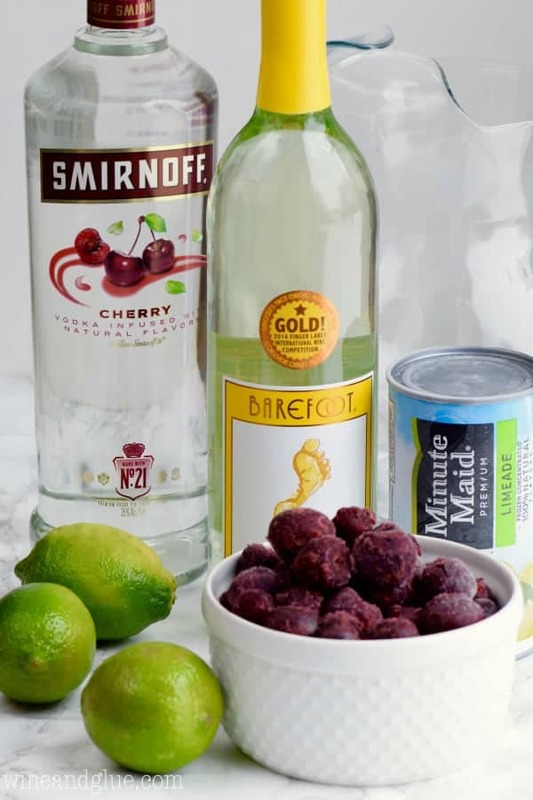 I promise you that your party guests will finish this in no time. But! If you are just making it for you and one other person and you don’t finish it all, it freezes really well. I made this a week or two before going on vacation, and froze it in two mason jars and brought it with. Do you know what is the answer to a long day at a waterpark with your three small children when you’d rather do ANYTHING than get into a swimsuit and swim with toddlers? 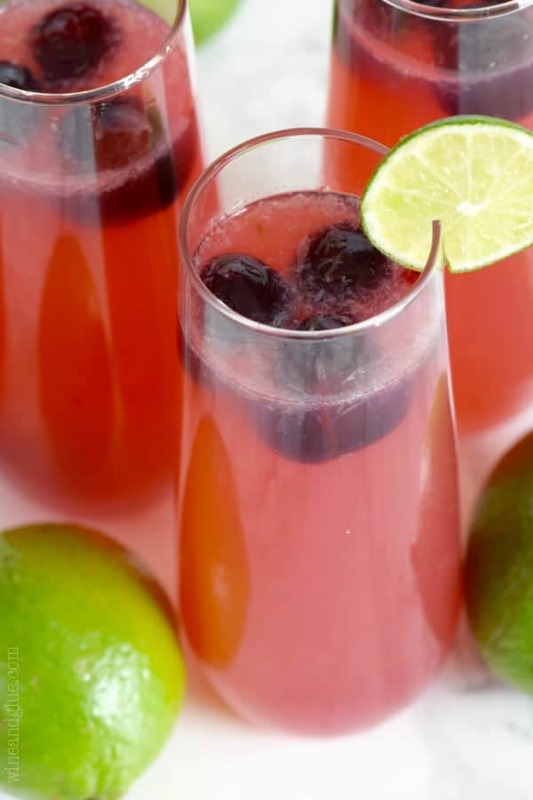 A cup of Cherry Limeade Sangria. Oddly, enough, it’s also the answer to a lot of other similar type of questions. Combine all ingredients, stir and serve by itself or with white soda like 7UP or Sierra Mist. It's really important for this wine to not pick a sweet white wine like a Riesling or a Moscato. 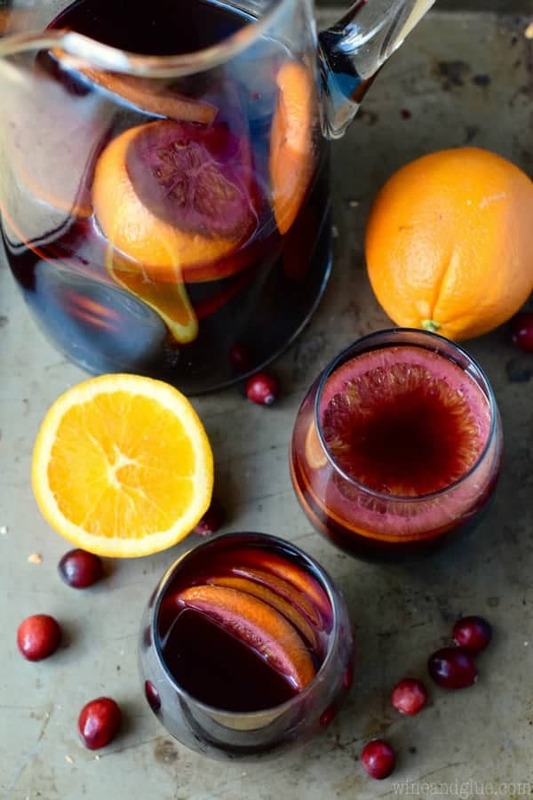 If you do, the sangria will be way too sweet. 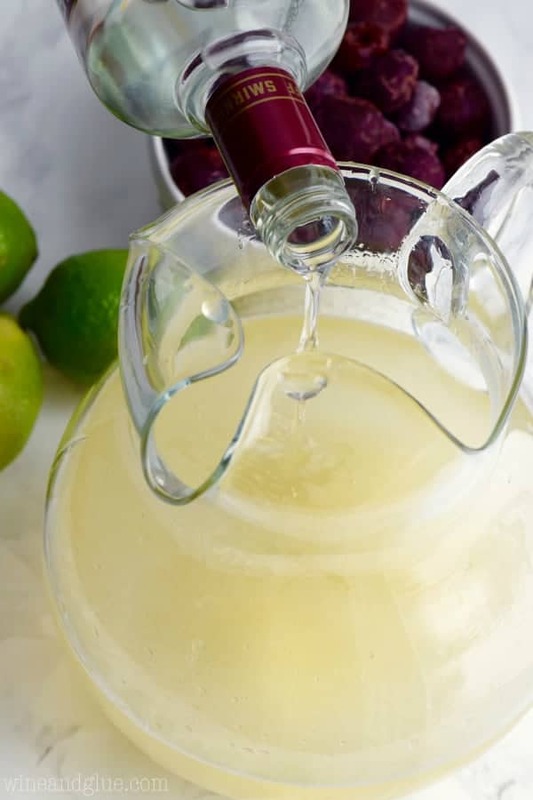 If you don't like dry white wines typically, give this recipe a try! 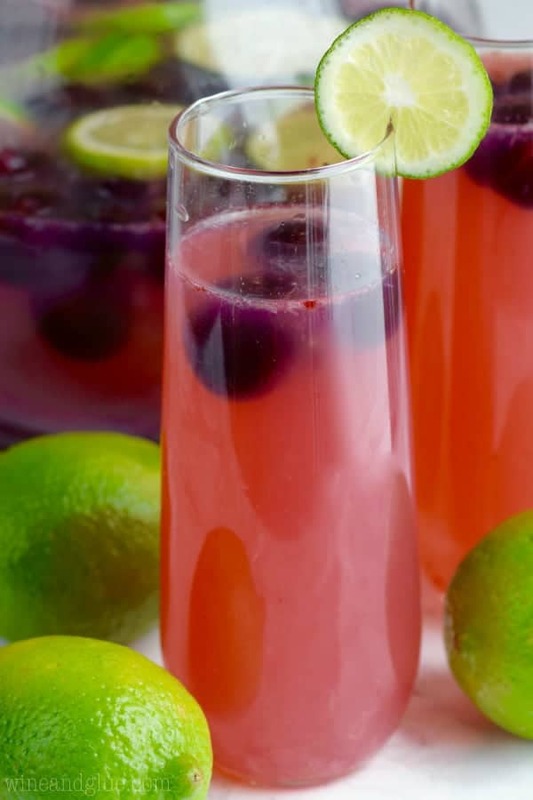 The sweetness from the limeade really makes it a sweet drink. Made this for our fireworks viewing party. 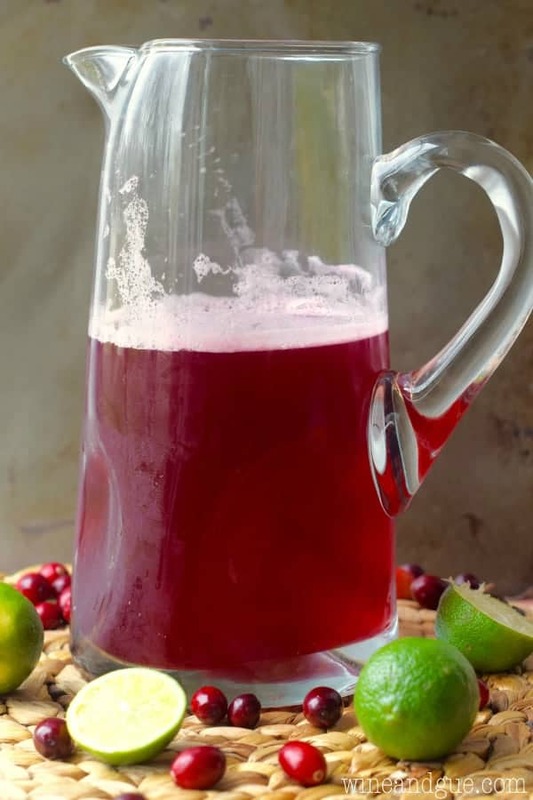 I used black cherry rum instead, forgot to buy limes, and it was absolutely fabulous!!! Huge hit at the party was 94 degrees that afternoon). I will definitely make this again! !